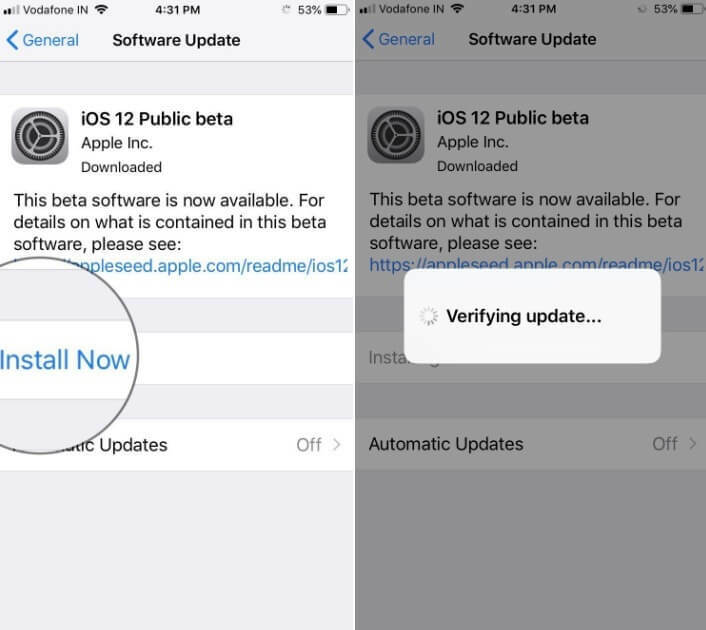 After released two iOS 12 Developer Beta, Apple has released iOS 12 Public Beta to all for testing purpose. 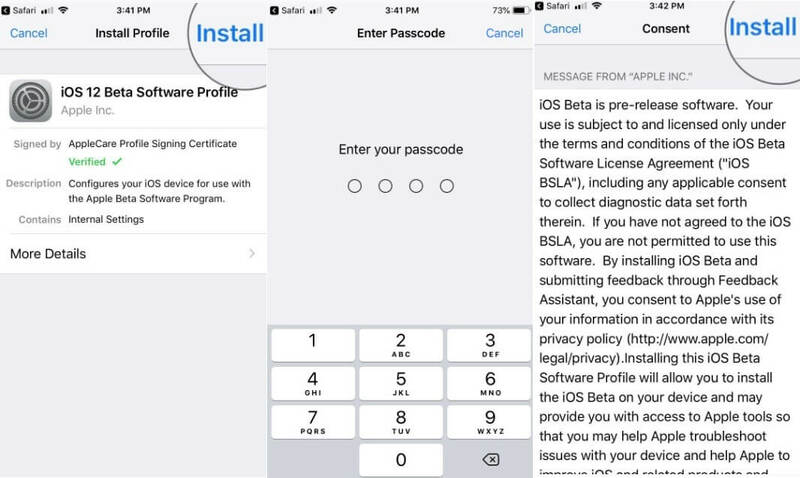 We every time consider making a guide for you like on about how to enroll device to download and install iOS 12 Public Beta configuration profile on iPhone or iPad. Before getting started mentioned tutorial- there are specific points that you should ensure which is given in three bullet points. 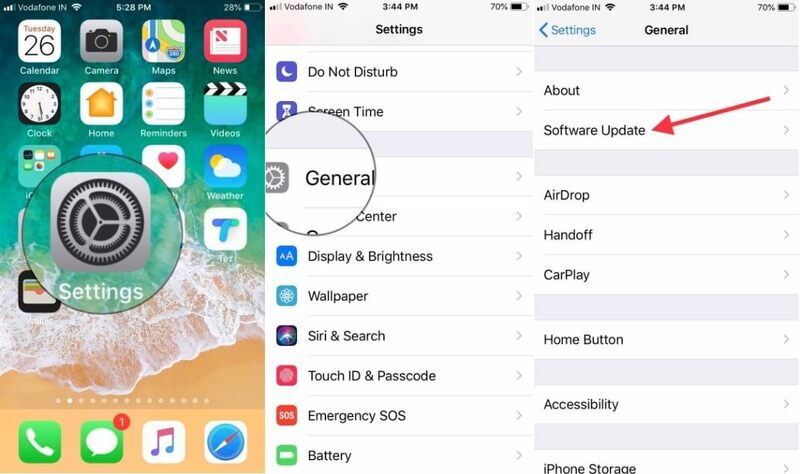 Point 1 is for a backup of your device- You must have the Fresh back up Copy of your iOS device if you don’t have yet then Go to Settings – Apple ID banner [User name] – iCloud – iCloud Backup and back up the device. Connect it to your Apple Mac or Windows Pc – Launch iTunes – Select your device in the top left menu bar – to encrypted backup in plain English to make password protected back up don’t miss to check to mark the box of Encrypt back up. In last, Click on Back up. Point 3 says that user device must be compatible with iOS 12. If you have iOS 11 running device, then don’t think more because all iOS 11 running device can drive on iOS 12. Step #2. 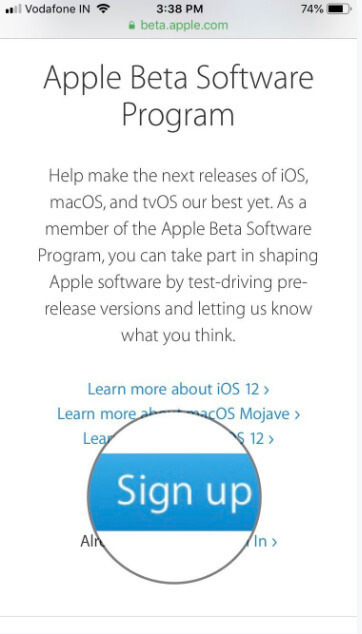 Tap Sing up button if you have used the iOS Public Beta. Step #3. Now, Sign in and hit to Get Started section. 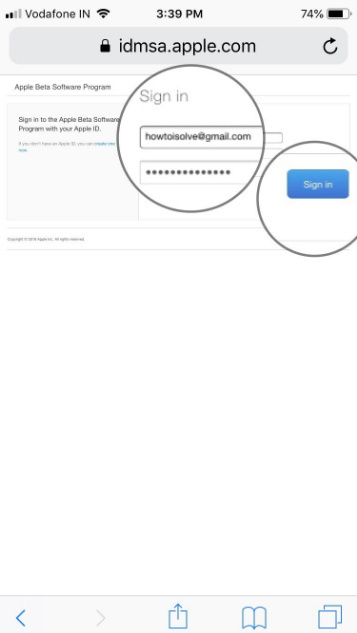 Step #.4 Next, Enter your Apple ID and Password then Click on Sing-In. Step #5. Now, Agree to the terms and conditions. Step #6. Then, select iOS tab and tap on enroll your iOS device appear under the Get Started section. Then, click on the Download profile. Tap on Install at the top right corner. Then, you need to enter your Device Lock Passcode. Tap on Install to accept the beta agreement. Step #7. Now, Tap on Install at the lower to confirm. 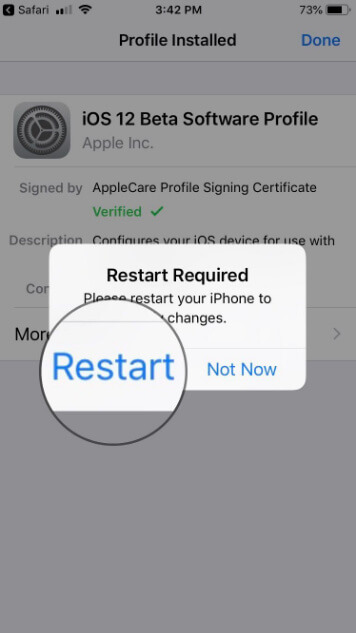 Then, tap on Restart button to rebooting your iOS device. 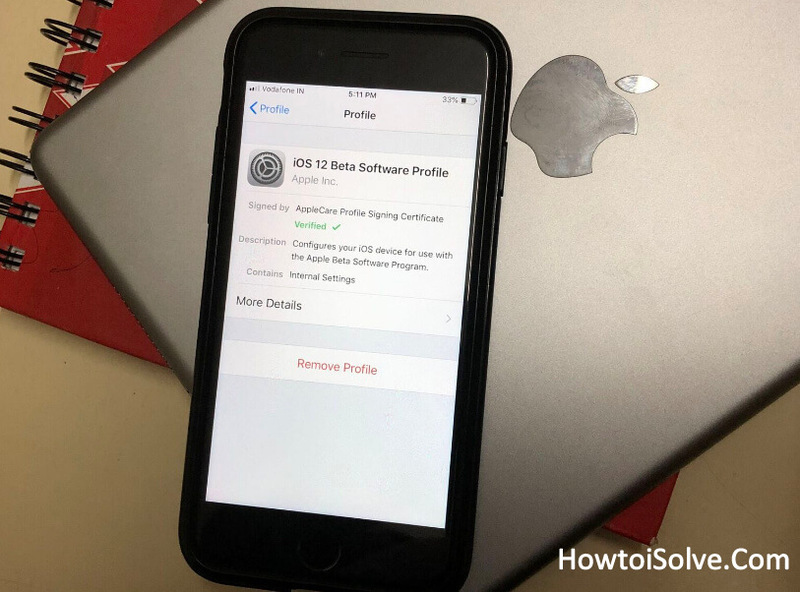 After your iPhone or iPad has rebooted, it will start downloading the iOS 12 Public beta Configuration Certificate. Step #8. 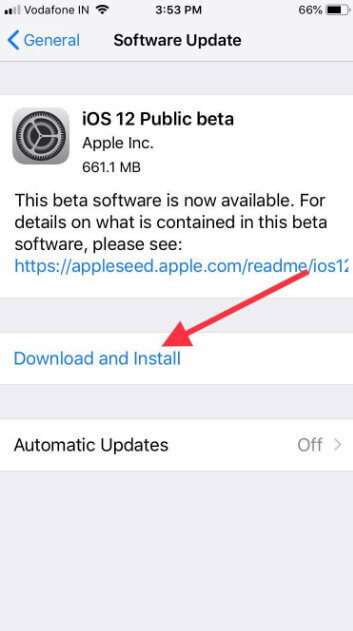 Once your iDevice has downloaded the public beta software, you need to open Settings app on your iDevice → General → Software Update. Step #9. When the Public Beta update shows up, tap on Download and Install. Then, enter your Device lock screen Passcode. Hint: Some of the users might get Storage button instead of Download and install switch. 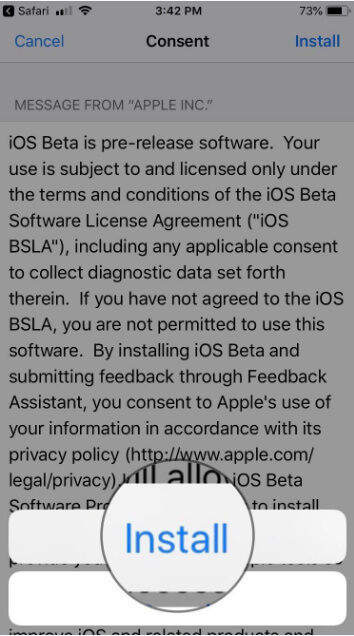 Therefore, you unable or in another word you can’t download iOS 12 Public Beta. So in this case, the user must require to free up storage space on its device to install latest Operating system profile. You can offload Apps, Free up Storage Space in iOS. 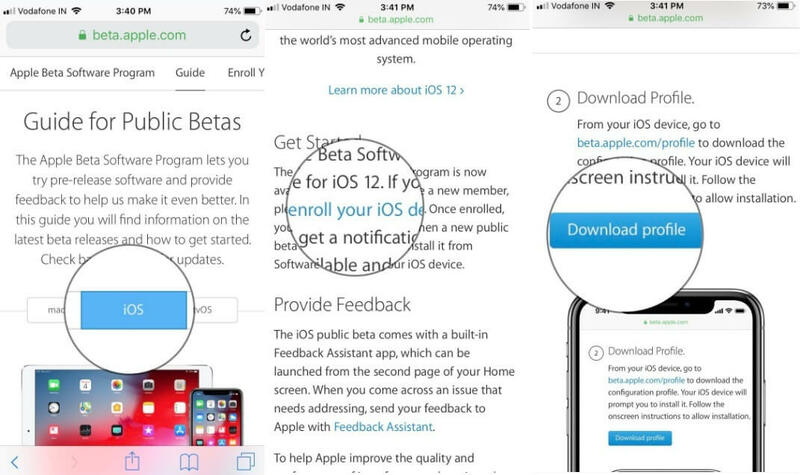 Wait until your device starts downloading iOS 12 Public Beta Profile. After downloading has completed, tap on Install button. Wait until the full process is completed. 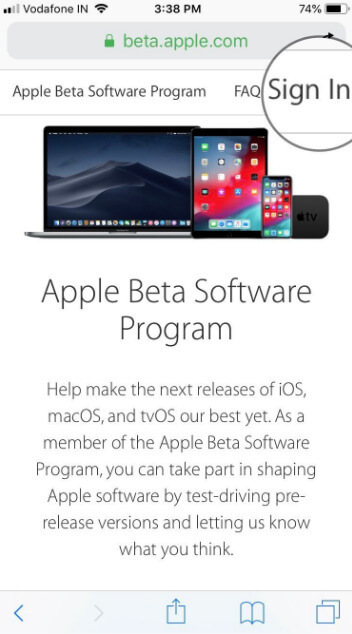 After your iPhone or iPad (Air, Pro, or Mini) has rebooted, it will have iOS 12 Public Beta 1. Enjoy fast performance iOS 12 with Grouped Notifications and many more awaited-features!